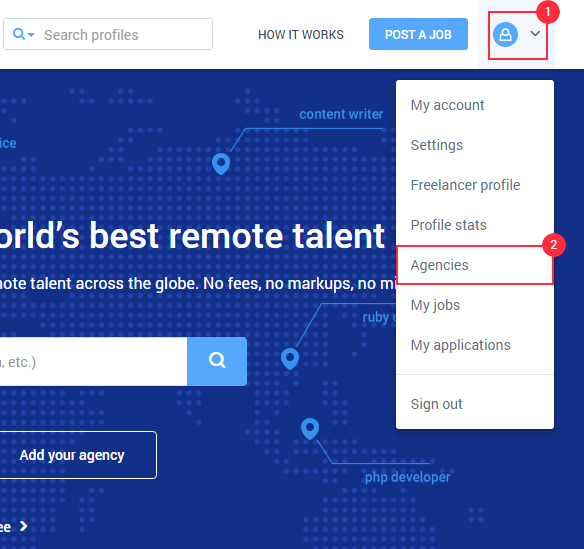 To invite members to an agency, click on your avatar picture (this will display a dropdown menu) then click “Agencies”. 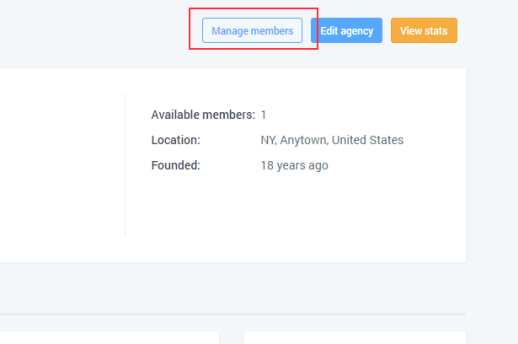 Next, click on the “Members” button on the agency you want to add the profile to. A window should pop-up and you’ll be able to invite your members with their emails and set them up with their respective roles in your agency (User or Owner). You can also access the members page and mange your profiles by viewing the agency (you must be singed in to see the admin buttons at the top).